VANCOUVER, BC – Vancouver native Manraj Hayer recorded his first career hat trick – including the game-winning goal with 1:59 remaining – to lead the Everett Silvertips over the Vancouver Giants 6-5 in a high-scoring affair Friday night at Pacific Coliseum. The win puts Everett at 9-2-2-0 for the season heading into Saturday’s road matchup with Kamloops. 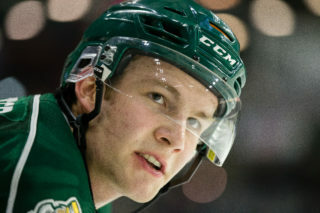 Hayer scored Everett’s first goal of the night and then twice gave his team one-goal leads with the Silvertips’ last two goals of the game, the last of which broke a 5-5 tie in the final minutes. Josh Winquist posted three assists in the win, Kohl Bauml had a goal and an assist and both Dawson Leedahl and Ivan Nikolishin recorded a pair of helpers. Noah Juulsen also recorded his first career WHL point with an assist. Vancouver came out strong with an aggressive forecheck and opened the scoring on a point shot by Brett Kulak at 3:26 of the first period. The ‘Tips answered on the powerplay three minutes later with Kohl Bauml slipping a pass from the slot to the low circle for Manraj Hayer, who one-timed it into an open net. Everett moved in front midway through the period when Brayden Low banged in the rebound of an Ivan Nikolishin shot. The visitors then went up 3-1 as Bauml collected another rebound in front and calmly tucked it around Payton Lee’s outstretched pad. Kulak got the Giants back within 3-2 in the waning seconds of the period however, scoring off a draw on a screened slapshot from the point to cap a busy first period. The teams traded goals throughout the middle frame, with Vancouver tying it at three on the powerplay on Cain Franson’s goal at 6:54. 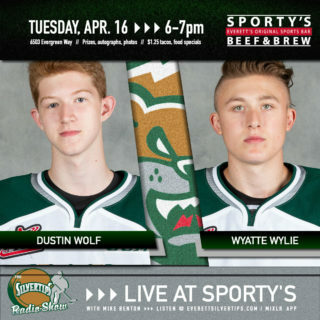 The Silvertips regained the lead only 32 seconds later when Austin Adam’s long point shot found the back of the net with the help of a Carson Stadnyk screen. The Giants tied it later on their third powerplay of the period, with Franson directing Carter Popoff’s shot by Austin Lotz. 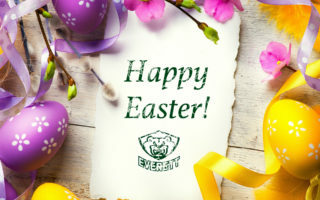 Everett countered once again on a great rush with Josh Winquist and Tyler Sandhu feeding Hayer, who perfectly chipped a quick shot into the top corner from close range to make it 5-4 ‘Tips after two. Vancouver found a way to knot the score once again however on Travis McEvoy’s rebound goal off a Dalton Thrower shot six minutes into the third period. The scoring settled down with the game tied at five until the late stages of regulation, when Hayer drove the net from the right boards and deposited the game-winning goal inside the far post along the ice, also completing his first career three-goal game. Austin Lotz (8-2-1-0) made 27 saves in the win as Everett was outshot 32-27, while Payton Lee (3-7-1-0) stopped 21 shots in defeat. 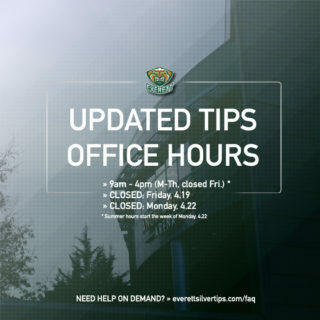 The Silvertips scored on one of two powerplay chances, while the Giants finished 2 for 4. 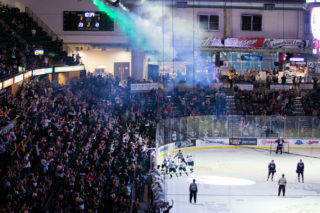 The Silvertips will now continue on to Kamloops, BC, where they are set to face the Blazers Saturday night at 7:00 pm. Pregame coverage starts at 6:30 on Fox Sports 1380 AM. Then it’s back to Comcast Arena for back-to-back home games next weekend, Friday against the Brandon Wheat Kings and Saturday vs. the Seattle Thunderbirds in our fifth annual “Pink the Rink” game contributing to the local fight against breast cancer.